Round Table : a number of people gathered together for conference, discussion of some subject, etc., and often seated at a round table. Round Table discussions are an excellent way for you to get a chance to practice speaking English with someone from another country and at the same time, learn a bit about their culture and everyday life! You will be exposed to other accents and participate in a ‘real-life’ conversation with someone you have never met before in a comfortable, friendly environment. The general topics are endless and if possible, we can even arrange for you to speak with someone who also works in your industry. I will serve as the ‘host’ making sure that the conversation keeps flowing and that everyone gets a chance to speak. Generally we will speak in an order assigned at the beginning of the session. Person 1 gives their answer, 2, then 3 and then it is open for discussion as I see fit. I will help keep the order by speaking directly to the student when they are to answer. During the open discussion, participants must be courteous and not interrupt or speak over other people. At any time, I reserve the right to remove someone from the call. I will keep running notes of vocabulary, grammar issues and sentence structure in the Skype chat. This options is only available to SkypEnglish4U clients (join today!) that are ‘pre-approved’ and have the appropriate level of English required to partake in one of these group exercises. Each SE4U student will get one free 30min AWRT credit and will schedule it with me. If a student wants to participate in more, they will pay a % out of their existing sessions based on the people participating in the call– If there are 2 students, for 30min, they each will spend 15min of their existing packages. The maximum amount of students per call is 3. You will see specific times labeled as ‘Round Table’ on my google calendar and you can select them just as you regularly schedule. I will be very flexible with these sessions… if you want to do one at a certain time, please let me know and I will try to find another student. With the verb watch, we are much more active. Watch is like look, but requires more effort from us. We watch things that are going to move, or change in some way. And we watch the movements and changes. The police decided to watch the suspected murderer rather than arrest him immediately. They hoped he would lead them to the body. I like watching motor racing on TV. If you watch that egg for long enough you’ll see it hatch. We use see to mean simply that an image comes into our eyes. It may not be deliberate. As soon as we open our eyes, we see things. I can see a cloud in the sky. I suddenly saw a bird fly in front of me. Didn’t you see Ram? He was waving at you. When we look, we try to see. We make a special effort. We concentrate our eyes on something. Look at this photo! Isn’t it beautiful? I’m looking but I don’t see it. https://skypenglish4u.com/wp-content/uploads/2015/02/Screen-Shot-2015-02-05-at-12.59.32-PM-1.png 468 1085 Jessica http://skypenglish4u.com/wp-content/uploads/2016/10/SE4U2-2-4.jpg Jessica2015-02-05 13:35:502015-02-05 13:35:50SEE! WATCH! LOOK! Do you have a good memory? Do you have issues with remembering vocabulary words? As you can see, REVIEWING information is very important for retaining the things that you learn. If you do not review, you will quickly forget the things you have just learned. Reviewing and using the language are a very important part of the learning process. Some people focus on learning new words everyday, but never actually practice using them in a real-life setting. When you actively use a word (with speaking or writing), you are reviewing it. Listening and reading also are forms of reviewing as they are reinforcing the words in your memory, but they are a passive form of review. Anyone can read a page in the dictionary, but to truly ‘know’ the words, you have to be able to use them. Get involved! Make it fun! Sign up for speaking sessions, practice daily by commenting on twitter and facebook posts. I’m always happy to respond. Learning new words is very important, but remembering them is even more important. Some of my students have a particularly hard time understanding modal verbs. Since I teach a lot of Italians I have become familiar with some language work for Italian students of English, specifically that of John Peter Sloan. However, he explains his ‘methods’ in Italian, obviously! So for the purpose of all other students, who don’t speak Italian, here is the translation. It’s not my idea, it’s his. I want to make that clear, but it’s a very good idea indeed and works wonders for making modals easier to understand and use. The idea is that you think of modal verbs with percentages that show to what degree the action is likely, possible or probable. Then you simply use the relevant modal according to the result. Choose your verb, always in the infinitive (without ‘to’) after a modal verb. Choose the possibility factor and insert the appropriate modal between the subject pronoun and the verb. There are some words that are just hard to remember how to spell, and if they sound the same as each other, it simply compounds the problem. I’m all for using images to help myself remember stuff, so let’s be kind and do the same for our kids! Here are a few of the tricks I used with my students when teaching these three words. 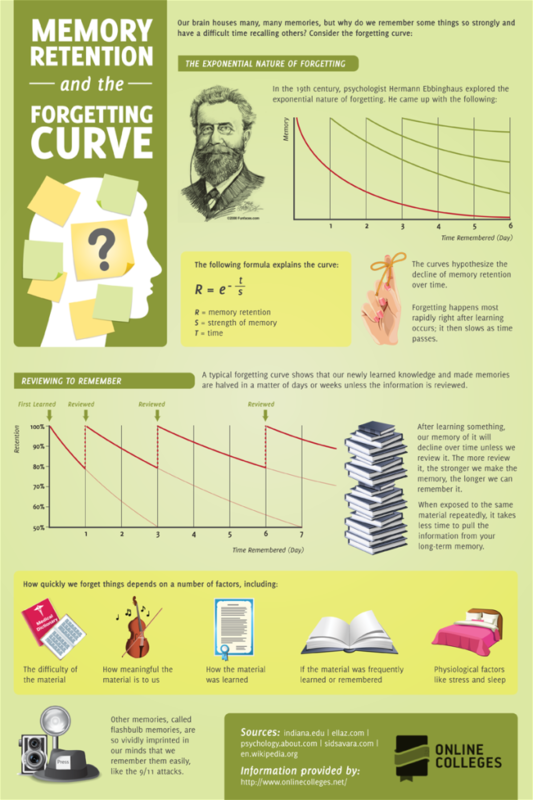 Here’s a visual that you could show your students. Point out that the two guys on the left are drawing attention to the two short people on the right. The sentence under the stylized word shows the relationship between “we’re” and “they’re,” both derived from a word combined with what used to be “are.” I shared the story in another blog about how contractions came to be. Maybe a quick brush-up of that story will suffice to drive this concept deep into memory! Notice that in the sentence, the “’re” and the “are” are both light blue to tie the two together. Location words “here,” “where,” and “there” all have the word HERE in them. You can do a goofy sort of “who’s on first” using these words. Mom says “Come here and get your sandwich!” Child says, “Where?” Mom replies “There!” Note that in the picture, each here in the location words is light blue to tie them together in memory. For some reason my students always had a really tough time remembering how to spell “their” and remembering when to use that word versus “there” or “they’re.” When teaching “their,” I used a little sentence and the following mini story and drew the action on a white board. Worked like acharm! Here’s how the story goes…There were two kids, who one day discovered that there were little evergreens growing up all over their backyard. When they asked their father about it, he explained to them that the pinecones that fell from the trees made new little trees. The thing is, they’d not noticed before because the mower always got to the little trees before they’d had a chance to grow big. This time, however, the mower was broken and the grass hadn’t been mowed for a while. So of course the kids didn’t want Dad to mow down the cute little trees! But after a bit of discussion, a compromise was reached: kids would choose the nicest tree they could find and plant it in a safe spot in the yard. Then Dad would mow the lawn. And that is what they did. The kids watched over their fir tree carefully and after a while it grew to be much taller than they were! How proud they were! When other kids came over to play, they made sure everyone knew the fir was theirs. 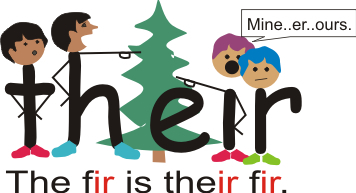 I pointed out to my students that “their” and “fir” both end the same way. As a matter of fact, if you take the words “the” and “fir” and put them side by side, then erase the ‘f’ at the beginning of “fir” you will have the word “their”! Try it! I promise it will work! 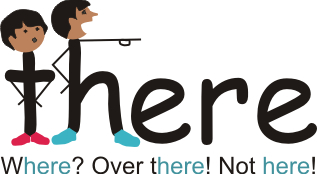 English prepositions cause a great deal of confusion for non-native speakers. This article is about some of the most common preposition pairs which are easily confused. What exactly is the difference between in and into? At least in a few cases, they are both possible. However, there are some differences, too. Both ‘in’ and ‘into’ refer to three dimensional spaces. In is used to talk about position. Into is used to talk about directions and destinations. Into is often used to suggest that people or things move from an outdoor space into an indoor space. She is in her room reading a book. She ran into the room carrying a paper. The difference between on and onto is similar to the difference between in and into. On shows position. Onto shows movement or direction. He threw the book onto the bed. How does it get onto the roof? Can you get onto the roof without a ladder? See if you can throw your hat onto the roof. Into and onto are normally written as single words. On to is also possible in British English. After some verbs (e.g. throw, jump, push, put) both in and into or on and onto are possible with similar meanings. What am I talking about? – Reductions! What are reductions? – These are shortened, combined, or ‘reduced’ forms of English words. For example gonna (going to), wanna (want to) and hafta (have to). There aren’t ‘real’ words in English and are not used in writing however they are frequently used in spoken and informal English, especially in movies and music, so it’s a good idea to know about reductions in order to understand these and to sound more natural when you are speaking with native English speakers. Have a look to see if you can hear these the next time you listen to some English pop music. My favourite is ‘dunno’, which means ‘I don’t know’! https://skypenglish4u.com/wp-content/uploads/2014/09/reduce-1.gif 225 450 Jessica http://skypenglish4u.com/wp-content/uploads/2016/10/SE4U2-2-4.jpg Jessica2014-09-05 16:01:092014-09-05 16:01:09Reduce reduce reduce! Do you know your colloquial pairs? Many of my IELTS students make a point of studying their idioms and phrasal verbs, mostly as it’s a clear cut way to show fluency and develop a more natural and advanced way of speaking English. However, there is something else which can also help here. This is the use of colloquial pairs. You will surely all now about ‘pros and cons’ from learning how to speak about advantages and disadvantages, and this is indeed a colloquial pair, however what about others? What is a colloquial pair? Well these are pairs of words that have a special significance, such as idioms or slang. You must take care not to put them in the wrong order however, as while these pairs may be understood in a reversed order, they will sound incorrect to a native speaker. So, can I give you some examples? Well, I’m very ‘prim and proper’ about my colloquial pairs so I must make sure I use them correctly! I believe that ‘by and large’ these are phrases which are essential to add to your vocabulary if you want to speak like a native, and there is nothing we can do to change that! I’m afraid these rules are set ‘hard and fast’ and we can’t make any exceptions. Why not look the other pairs up online and see if you can use them? http://skypenglish4u.com/wp-content/uploads/2016/10/SE4U2-2-4.jpg 0 0 Jessica http://skypenglish4u.com/wp-content/uploads/2016/10/SE4U2-2-4.jpg Jessica2014-07-16 13:46:362014-07-16 13:46:36Do you know your colloquial pairs? I have a lot of students who are studying for the IELTS exams, both Academic and General. A lot of them come to me after they have already taken it once and only scored 5.5 when they really want 6.5 or 7 for visa requirements to go to other countries. They don’t understand why they only got 5.5 last time. Phrasal verbs – often seen as the poor relative of the posher and more intellectual Latin derived verbs in English, they are nonetheless essential to show true levels of fluency in English. Idioms – an absolute must to be able to converse like a native. Give examples in 3s – 3 adjectives, 3 verbs, 3 nouns, 3 anything… as long as you always talk in three. It shows that you can not only give an example, but in fact have lots of ideas. Finally, what does it take to achieve this? Practice! Just practice! Here are three errors that I regularly encounter inside and outside the classroom. Do you make these mistakes? Listen to yourself, and check your writing. These are some errors that are not deadly or fatal because native speakers usually understand what you mean. Because of that, they will rarely correct you. Nevertheless, these mistakes mark you as not quite as advanced or proficient in English as you may think you are. At lunchtime, I often hear students asking each other if they want to go outside and eat together. Students need to be able to express their opinions. Of course, the easiest way to start off your sentence is to say, “In my opinion, …..” However, there are other ways to begin a discourse about your personal views. To try to give a visual image of how to use these last two expressions correctly, I often draw a mountain peak with a little person standing on top. From that point, the person can see a lot, but (s)he is not in that point. I hope this helps you to improve your speech so that you sound more native.